How modern battery technology has reduced the impact of handheld electronic games on hearing performance. I grew up around kids with hearing loss at a time where some of them were still using body-worn hearing aids. Powerful hearing aids behind the ear were the most modern technology from which my friends could benefit. But we were much more fascinated by another trend in technology – handheld electronic games. These devices had a small LCD display and only a single game on it – long before Gameboys or cell phones were invented. They were passed around and all friends tried to hit the latest highest score. Those electronic games kept us entertained during never-ending bus or railway journeys, but only until the batteries ran out! At some point we discovered that the batteries in my friends’ new Behind-The-Ear hearing aids were the same as in the handheld electronic games. This fact actually made their BTE hearing aids even more important for us. It ensured never-ending fun playing our electronic games – even if it meant that their hearing performance fell by the wayside. Since then, technological possibilities have continuously and rapidly progressed. Hearing aids have become smaller, while portable computer games have become bigger. Today’s kids play with tablets and smart phones on their journeys. These devices have high definition screens and high processing power. Therefore, powerful rechargeable Lithium-ion batteries are needed. These batteries are much bigger than today’s hearing aids, embedded and not disposable. Today’s kids carry power banks with them, to avoid their gaming device running out of power. In daily life we often trust rechargeable technologies and can benefit from their easy handling, e.g. a toothbrush or e-bike. Now this innovative battery technology is also available in hearing aids. The ease of use is obvious and confirmed by the professional community. To evaluate the satisfaction with the rechargeable hearing aids, we conducted a survey among 342 hearing care professionals from the USA, France, Canada and Germany. 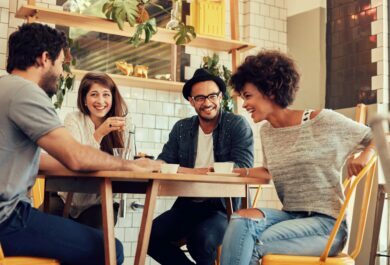 The results are quite impressive: 4 out of 5 hearing care professionals prefer Phonak Lithium-ion battery technology compared to other rechargeable solutions on the market. 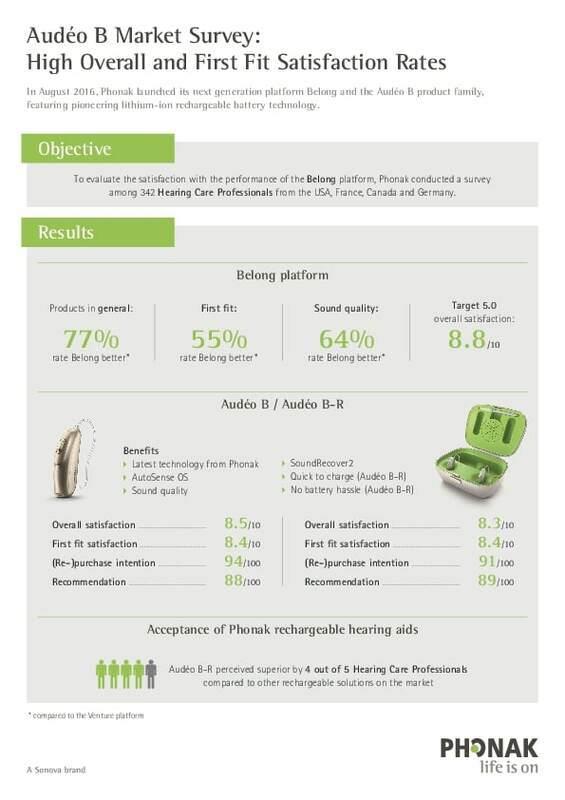 Moreover, the Phonak Audéo™ B-R hearing aid is recommended by 89% of the professionals asked! As a team member of this project, I am pleased to experience how we have improved the quality of lives for our customers. Of course, some of my “old” playmates will use our rechargeable hearing aids. On very long journeys they can quickly charge their hearing aids with the optional Power Pack. By the way, with 24 hours of battery capacity the Phonak rechargeable hearing aids hit the usage time of most of the mobile gaming devices, smart phones or tablets. Very nice and funny story!! After his audiology education, Lutz worked in a clinic then in a school for hearing impaired children. 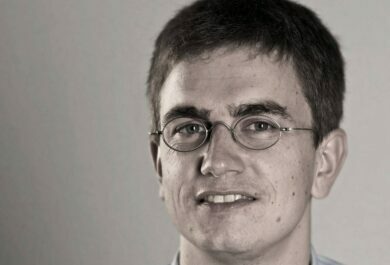 In 2003, he joined Phonak and worked in different positions in Germany and Switzerland. As educated Marketing Product Manager and International Software Product Manager, he worked seven years in the area of software before moving to the mainstream business.